We’ve gone way overboard trying to beat the bulge. We’ve tried every diet out there—low-carb, low-fat, all-grapefruit—and spent hours toiling on treadmills and machines. The truth is, complicated diets and extreme cleanses promise nothing but short-term results, and overdoing it at the gym doesn’t always help you lose weight (in fact, over-the-top workouts actually supercharge your appetite, often causing you to eat more than you should). 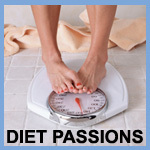 It’s time to hit the "reset button" and start over with a new perspective on weight loss. Now, expert trainer and New York Times bestselling author Harley Pasternak offers the ultimate plan to reboot your system and set you on the right path to a thinner, healthier, happier life. The Body Reset Diet is so simple yet so effective that you’ll immediately lose weight no matter how many times you’ve tried in the past. And you won’t boomerang back either. You’ll transition smoothly into a sustainable, nutrient-rich plan that keeps your metabolism primed to burn fat all day long—without ever setting foot in a gym! This three-phase program focuses on the easiest, most effective way to slim down: blending. The 5-day jump start includes delicious, expertly crafted smoothies (White Peach Ginger, Apple Pie, and Piña Colada, to name a few), dips, snacks, and soups—all customizable to your preferences and dietary restrictions—that keep you satisfied while boosting your metabolism. Over the following 10 days, you’ll reintroduce healthy combinations of your favorite foods along with the blended recipes to keep your metabolism humming, so you’ll continue to scorch calories and shed pounds. The plan also explains how the easiest form of exercise—walking—along with light resistance training is all it takes to achieve the celebrity-worthy physique you’ve always wanted. No equipment necessary! Whether you’re looking to lose significant weight or just those last 5 pounds, The Body Reset Diet offers a proven program to hit the reset button, slim down, and get healthy in just 15 days—and stay that way for good!